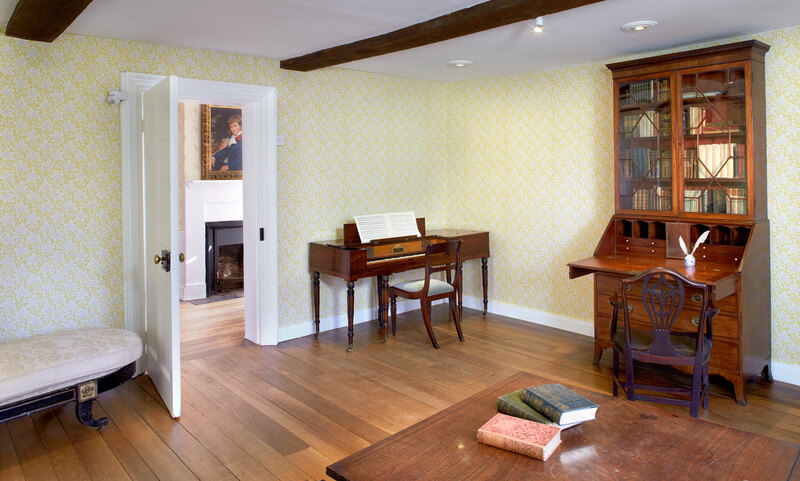 Jane Austen died 200 years ago this year at the age of 41, and in celebration, the Jane Austen’s House Museum is telling the story of her life and legacy using 41 objects from their collection. 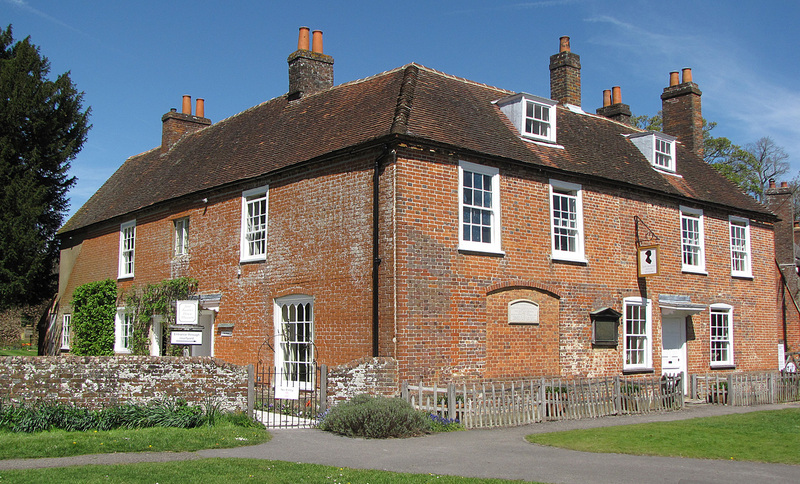 The Museum is in Chawton, Hampshire (UK). It was the home of Jane Austen for the last 8 years of her life, and here she wrote, Mansfield Park, Emma, and Persuasion, and probably revised her drafts of Sense and Sensibility, Pride and Prejudice, and Northanger Abbey prior to their publication. The Jane Austen in 41 Objects exhibition began on Friday March 10, and evolves each week with the unveiling of a new object. Experts and guest writers explain, in detail, the role each artefact played in Jane’s life, and texts are available both online and accompanying each item. The objects will all appear at the museum, but some only at specific times. The first object highlighted was her writing table. Other objects revealed so far include: her bookcase, a pair of silhouettes featuring her parents, a cup and ball, a donkey carriage, various publications, paintings, letters, and her gold ring set with a turquoise stone. On September 1st, it is Jane’s piano that takes centre stage. Austen was a proficient pianist, and many of her heroines played the piano. The instrument shown here is a Clementi square piano dated 1810. It is not actually her instrument, but believed to be very similar to the one she owned. Olive Drakes writes about the instrument, and the importance of the piano to Jane Austen. Muzio Clementi (1752-1832) was born in Rome but came to England as a child. He was known, in his lifetime, as ‘the father of the pianoforte’, and is described as such on his gravestone in Westminster Abbey. He was primarily a composer and pianist, but was closely involved in the design of the instruments that bore his name. The Jane Austen in 41 Objects exhibition runs until Friday 15 December – the day before her would-be birthday.